The following essay is an attempt to formulate an answer C.
This isn’t the generic Palin rifle-scope map; it’s an advance upon the basic design – specifically for Jesse Kelly, Giffords’ Republican opponent. It’s pretty clever, for all its insidiousness. As we’d say in the marketing industry, it’s precisely targeted advertising. It is excellently designed to provoke and energize the root emotions of the far-right’s voter base. There’s the American map, swathed deep blue, the Red-Statist’s greatest fear. There’s the cunning appropriation of the health-care debate’s lexicon to insist that America is suffering from a sickness, a disease, which is named Gabrielle Giffords and the Democratic Party. And, last but not least, there are the rifle-scope icons upon Democratic districts. Oh, indeed this advertisement is clever: “Click here for a list of the candidates,” it reads, creating a technological sleight-of-hand to avoid placing photos of Democratic candidates directly within the gun-sights (which would have caused a real ruckus). 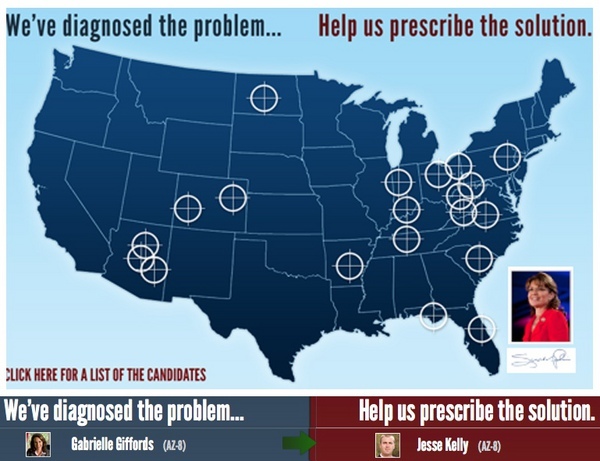 As we’re no doubt aware, GOP candidate Jesse Kelly additionally scheduled a charming barnstormer for June 12, 2010: “Get on Target for Victory in November Help remove Gabrielle Giffords from office Shoot a fully automatic M16 with Jesse Kelly”. We also can’t neglect Sharron Angle’s astonishing comment, “And you know, I’m hoping that we’re not getting to Second Amendment remedies. I hope the vote will be the cure for the Harry Reid problems.” Interestingly, the quote is from a January, 2010 radio show – but the report of it, in the Huffington Post, surfaced just four days after Jesse Kelly’s event – and its rhetoric furthers the connection between health-care reform as a disease (! ), and removal of politicians as the cure, while explicitly suggesting that if the cure is not obtained by the ballot-box it will be created at gunpoint. When you look at unbalanced people, how they respond to the vitriol that comes out of certain mouths about tearing down the government. The anger, the hatred, the bigotry that goes on in this country is getting to be outrageous,” said the sheriff. And unfortunately, Arizona I think has become sort of the capital. We have become the mecca for prejudice and bigotry… All I can tell you is that there’s reason to believe that this individual may have a mental issue. And I think that people who are unbalanced are especially susceptible to vitriol. The media response to Tucson has split, predictably, into two camps: a strident condemnation (and calls for reformation) of the violent political rhetoric seen above, due to the horrific ends their logic entails; and accusations that “liberals” are “politicizing” an “agenda” off a tragic event whose culprit, a lone madman, cannot be described as politically motivated (as evidenced from past witnesses to his behavior and his own YouTube clips) because lunacy has no clear politics. The conservative position may have a point — the topic of political tone is adjacent to, but surely not the direct causative factor in Jared Lee Loughner’s head as he put a bullet through Gabrielle Giffords’ — but with every moment that passes, the conservative position is becoming less relevant. Their arguments are carrying less and less weight. “The call by Sheriff Dupnik and others to take our political conversation down a few notches,” Shafer writes, “might make sense if anybody had been calling for the assassination in the first place, which they hadn’t. And if they had, there are effective laws to prosecute those who move language outside of the metaphorical.” However we have just seen above that, between Kelly and Angle, it is suddenly very ambiguous whether or not they can be seen to be calling for assassinations if the votes don’t go their way. The Tea Party’s political messaging deliberately progressed, over the span of the 2010 campaign season, to emphasize that people with guns are the cure for America’s political illness. If this isn’t crystal-clear in your mind, I suggest you take a remedial English course and learn a thing or two about metaphor and subtext. Shafer writes, “Embedded in Sheriff Dupnik’s ad hoc wisdom were several assumptions,” which include “that those voicing strident political views are guilty of issuing Manchurian Candidate-style instructions to commit murder and mayhem to the ‘unbalanced. 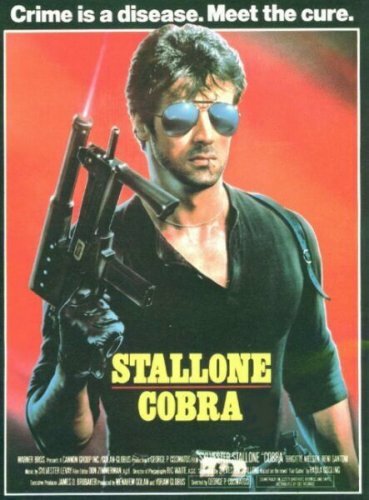 '” Seriously now: the Chinese brainwashers in that film are masters of subtlety compared to Mr. Jesse Kelly, who gave his supporters the imaginary thrill of murdering a member of Congress with a military-issue rifle. Once again – obviously – there is no current reason to believe Jared Lee Loughner was influenced specifically by Palin crosshair maps or M16 rallies, but it is convincingly reasonable that the Tea Party’s campaign strategy was to stimulate voters’ deepest fears of socialist government, then energize the pleasure centers activated by violence imaginatively directed toward Democratic members of Congress. There are two points that need to be made here. The first is that Jared Lee Loughner is no doubt mentally ill – or, to put it better, had become mentally ill over the preceding five years – and that, with his circular logic and probable adoption of David Wynn Miller‘s theories, he occupies a place I’ll call “the lunatic fringe.” It is a place of omnipresent paranoia and ubiquitous, omnipotent government conspiracy. It is precisely the place where the far right has conducted its most vigorous political outreach. Shafer insists that “only the tiniest handful of people…can be driven to kill by political whispers and shouts.” However the political far right in America has been extraordinarily successful in enlarging the pool from which politically-motivated murderers emerge. “It’s crazy,” said Bill Ames, but an awful lot of people were cheering on that crazy. Second, no one is asking you to forever hold your tongue, Mr. Shafer, you irresponsible purveyor of melodramatic prose. We are already infantilized by the infantile cries of ignorant pundits, who parrot pollsters so that we may have the childish pleasure of abdicating critical thought. These calls for greater civility – offered across the political spectrum, today – are rather pleas to renounce the bestial, “red in tooth and claw,” and speak like adults for the first time in a generation. Republican commentators frequently sneer when they hear that (rather excrable) phrase “a teachable moment,” as though they deny the possibility that life teaches us lessons. We have had many such moments in the last decade. We’ve started a war based on lies. There was a hurricane that told us what income disparity really means. There was a financial crash that told us what financial deregulation does. There was an oil spill that taught us about failed government oversight and demonstrated the environmental ruination that comes from an oil-based economy. We know a certain amount about Jared Lee Loughner’s mind and past from his six YouTube posts, a new profile in the New York Times, and this Mother Jones interview with Loughner’s closest friend. We know that he harbored an irrational grudge against Rep. Giffords after a 2007 “Congress on Your Corner” in which Loughner asked her, bizarrely, “What is government if words have no meaning?” and Giffords answered noncommittally, or in Spanish, and moved on. We know that he was barred from re-enrolling at Pima Community College without a psych admit. We know that he wasn’t interested in guns until early 2010. We know that he legally bought a Glock with an extended magazine, which was banned under Clinton-era assault-weapons legislation that expired in 2004. What we don’t know about Jared Lee Loughner is where his mind really went between that moment in 2007 and his Youtube posts in late 2010. In Slate, in The Wall Street Journal, and throughout the airwaves, defenses and prevarications are made. Violent political rhetoric is there, has been there all the time, they profess. There is but an arbitrary connection between a rally to unseat Rep. Giffords and firing off an M16. Oh, you can’t really believe what Sharron Angle was saying with all that 2nd Amendment hoo-ha, right? ‘Cause that’s just crazy. Jared Lee Loughner posted one video relatively few people have seen; it exists “below the fold” on his YouTube channel; you have to click “see all” in order to access it. It’s called “How To: Your New Currency!” It begins in Loughner’s by-now well-known mode of peppy circular syllogisms, initially talking about creating a new coin. Except it isn’t. Who possesses your new coin? Are you possessing a new currency? I don’t consider it too outside the realm of possibility to consider the following: that Loughner, mentally ill within a state consumed by political vitriol, yet understands that “targeting,” “taking out,” “removing” political figures (while waving guns and gun imagery about) is still rhetoric. Who is the “you” being addressed here? One interpretation could be that “you” refers to far-right politicians encouraging armed insurrection. They claim Revolutionary fervor but are bankrolled by the wealthy status quo. (I can sense a chiding tone on the line, “You’re not distributing your new currency lethally to people.”) This one of only two times that Loughner ever speaks in any way about killing (“The bodies hit the floor!” being the other). In this interpretation, Loughner is wondering if people are going to put their money where their mouths are. In this interpretation, Loughner has created a new currency, which is assassination. And you can take him at his word. This is only one interpretation, and it is entirely possible it’s not the correct one. But as a student of the English language and its uses, I must utterly reject Glenn Reynolds’ contention that I am either a vicious liar or a contemptible opportunist. No. Bill Ames, I, and perhaps you too: we are sensible, we are sane, amid the madness. And our discussion of words and their meanings is directly relevant to the attempted assassination of Rep. Gabrielle Giffords and the mass murder in Tucson on December 8, 2011. A baby died when a family of 12 leapt from their second floor balcony in Paris claiming they were fleeing the devil. Eight more were injured, some seriously, in the tragedy when they jumped 20ft into a car park in Paris suburb of La Verriere. The baffling incident occurred when a wife woke to see her husband moving about naked in the room, police said. She began screaming ‘it’s the devil! it’s the devil!’, and the man ran into the other room where 11 others adults and children were watching television. One woman grabbed a knife and stabbed the man before others pushed him out through the front door. The naked man also leapt from the balcony, detectives said. A four-month old baby died in his mother’s arms, while a two-year-old was critically injured in yesterday’s incident. Police said they had found no evidence of hallucinogenic drugs or unusual religious rituals. Versailles assistant prosecutor Odile Faivre added: “A wife in the next room saw her husband moving around naked and began screaming that he was the devil. “In the confusion following this apparent case of mistaken identity, the naked man’s sister-in-law stabbed him in the hand and he was ejected through the front door of the flat. “When he attempted to get back in, panic erupted and the other occupants of the flat fled by jumping out of the window. “A number of points surrounding this incident remain to be cleared up,” Mr Faivre said. “oops,” 10 min., by Chris Beckman, 2009. Winner, 2010 Vimeo Awards, Experimental Category. Appropriated video – a video collage of people dropping their video cameras. Kids, watch your reruns, and learn something. I am watching Season 2 of Battlestar Galactica, which was originally aired at the height of the Abu Ghraib scandal. There is a torture victim, curled in fetal, shackled to a metal floor. Deep bruises, in curdled yellow, run the length of her body. She is skeletal like an Auschwitz prisoner. Then I click over to The New York Times. 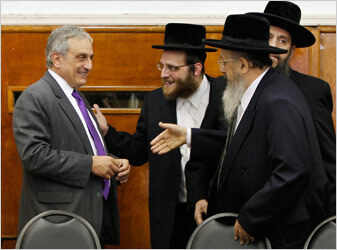 I am told that Carl P. Paladino, the Republican candidate for Governor of New York State, said some hateful things about gays to a gathering of Orthodox Jewish leaders in Williamsburg, Brooklyn. The audience responded with applause. And I remember that Hitler collected both Jews and homosexuals for the gas chambers and the ovens. And I remember Tyler Clementi who leapt off the George Washington Bridge the other week. And I remember Matthew Shepard in 1998 and the torture of two gay men by nine members of a Bronx gang this week. There was no homophobia in the ash rising from smokestacks, deep in 1940s Poland, that fell upon the forest trees in a commingled dust. I am bored with reruns. It’s just the same thing over and over again. That’s something to think about in the Orthodox congregations of Brooklyn, the most disappointing place where homophobia is leveraged as an electoral tool. A perfectly-timed selection of dancing routines from hit Hollywood films, all clipped to “Footloose”: fun stuff. 15 October 2001––After a week of debilitating strikes at targets across Afghanistan, the Taliban repeated an offer to hand over Osama bin Laden, only to be rejected by President Bush. Read the rest on this little site across the pond.